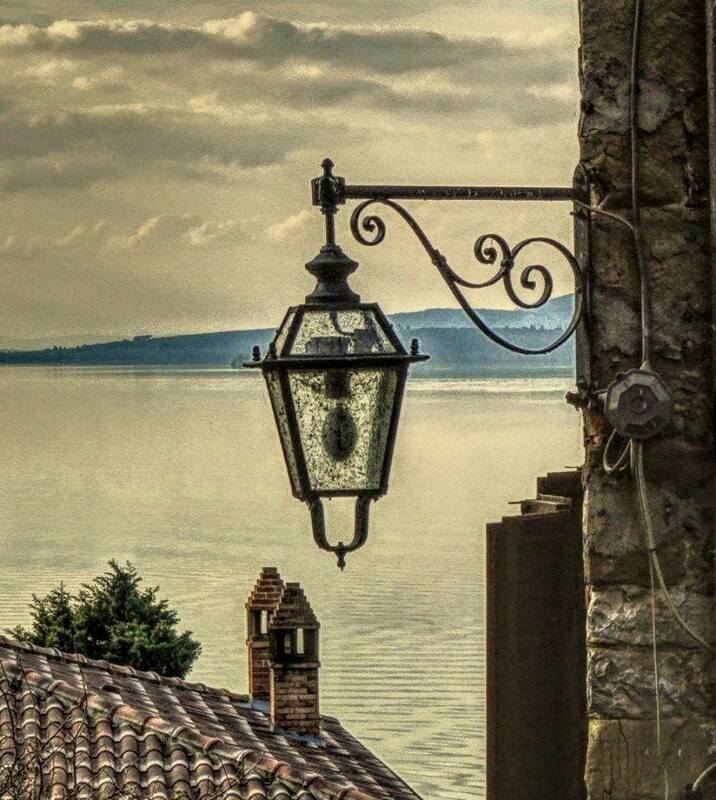 Closed inside its ancient walls which encompass, towards the lake, an impres-sive medieval fortresss, in 1500 Castiglione del Lago passed from being a military outpost and fishing village to the status of Renaissance State. This was due to the construction of a palace, later becoming the residence of a Duke, with all the extra buildings and embellishments which this entailed at the time. Earlier, after the Etruscans and the Romans, the village had been contested for centuries between Arezzo and Perugia, until this last finally gained possession in the 12th century. 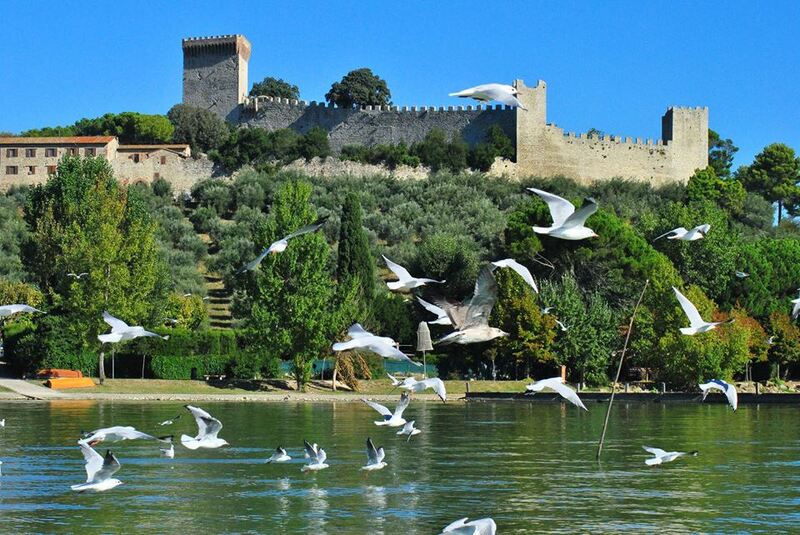 Then in the XII century the village and the castle were entirely rebuilt under the orders of Federico II, more or less in the way we see it today. In the mid 1500’s the territory was conceded to the della Corgna family, and elevated to the status of ‘Marquisate’ in 1563. 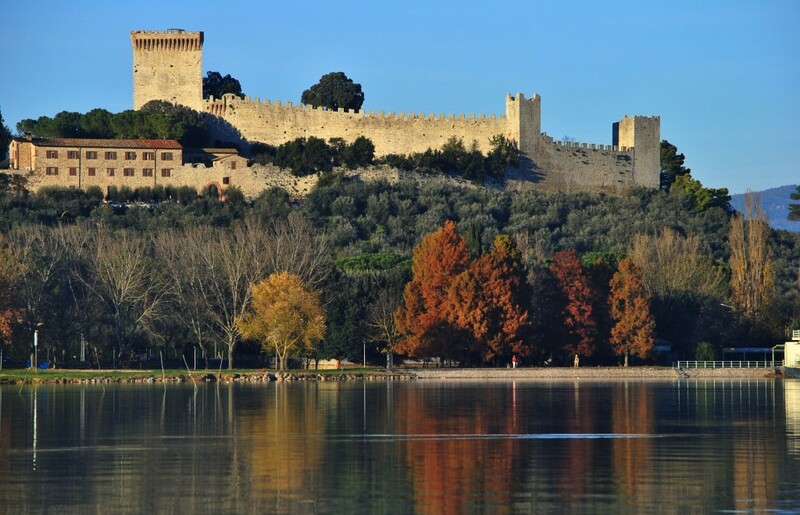 At the beginning of the 1900’s a military airport was established just outside the village, and today this area is incorporated in the Trasimeno Park.